On Friday night, I got a message from the BBC Today programme. 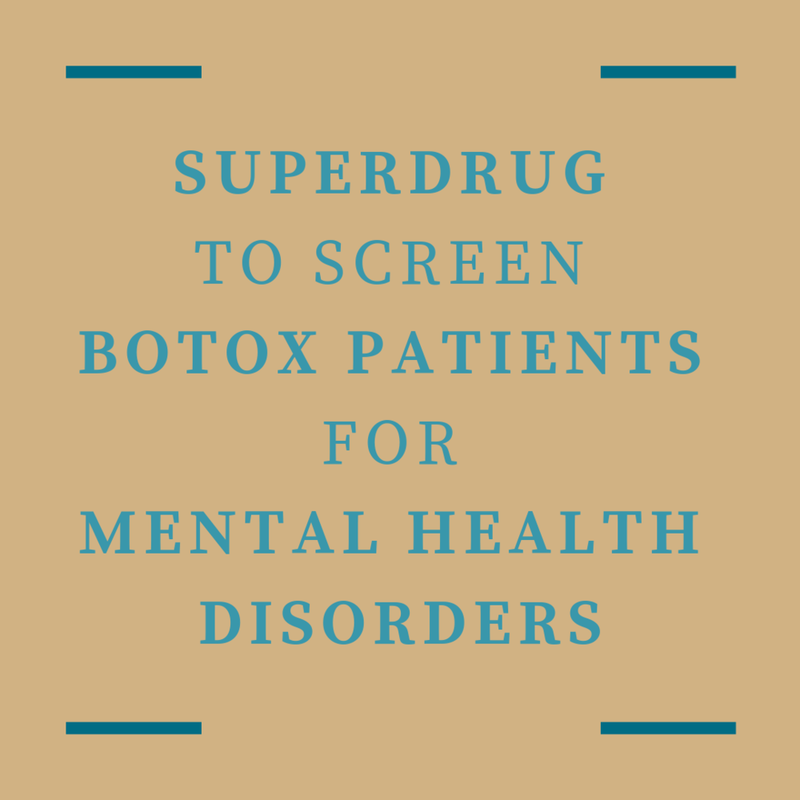 Had I heard that following requests from the NHS, Superdrug is going to screen its cosmetic patients for mental health disorders? And would I, as someone who has reported on the Superdrug/Botox story, come on the programme and discuss it? Alas, I’d just arrived at a spa in Portugal (to review it; tough job, I know) and the programme wasn’t keen to do the chat on my mobile. Or maybe that’s just a polite way of saying they already had enough opinions. But here’s what I would have said. I applaud Superdrug for including questions about patients’ mental health, and their attitude towards their looks, in their patient consultation. Body Dysmorphic Disorder (BDD) is a huge issue in the world of cosmetic tweakments, but not one that gets much discussed. BDD runs at about 2 % in the normal population, but among people who seek cosmetic procedures, the rate is more like 25% which is alarming. And it’s rife among cosmetic practitioners, too. What about all the other practitioners? But what about all the other clinics up and down the country offering cosmetic tweakments? I guess it is easier for the NHS to focus its worries on Superdrug, as a well-known high-street concern (even if it only has one cosmetic clinic so far) than to attempt to tackle the hundreds of private clinics where Botox is used. Many of these clinics are already introducing psychological evaluation of their patients, off their own initiative. What’s really needed? Government regulation! But of course what’s really needed, and what we don’t have, is proper, governmental regulation of the aesthetics industry in the UK. If there was even an official central register of all aesthetic practitioners, that would be a start. And then the Government could set guidelines on issues like BDD and practitioners would be obliged to follow them, without the NHS having to wade in.